About: Mink are colour specialists. Using products from Herb UK's OCS range. Tints are ammonia free and contain the most organic ingredients possible. We try to create a chilled atmosphere for clients to relax. I would just like to disagree with the above review. Mink have been cutting and colouring my hair for 3 years. a godsend to harrassed mums . . .
Plus the music is exellent ! 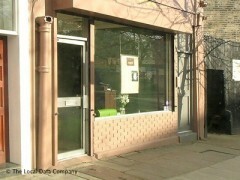 Had my hair cut here recently and hated it! She seemed to cut my hair in a different way to others stylists have in the past so not sure if that's why the outcome went askew. Gutted because it took years to get my hair to where I wanted it and my 'trim' is going to take years to grow out again. Am hoping this is a one off bad haircut as the salon in general seems pretty cool.